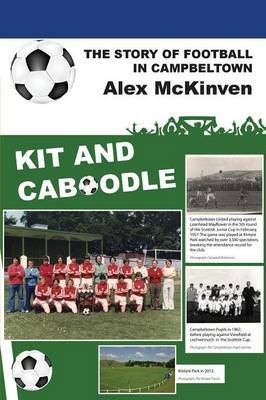 Alex McKinven's passion for football has been life-long - first as a player and then as a manager - and that passion shines through in this book, the first comprehensive history of the game in Campbeltown, which documents the evolution of local football from the late 19th century to the present day. The local narrative is adeptly interwoven with national and international developments in the game. The local teams are all here - Academicals, Hearts, Glenside, Kintyre, Pupils, United, and dozens more - along with a huge cast of players, including the greatest exponents of the game Campbeltown ever produced, Neil McBain and Peter Pursell, both capped for Scotland, Peter's brother Bob, Jamie Brown and John Durnin, and a string of others who played professionally both in England and in Scotland. And an Italian internationalist, Giovanni Moscardini, earns a chapter to himself, thanks to two seasons as a Pupils player in the mid-1920s.Outstanding matches in the history of the local game - cup-ties and league clashes, some attracting spectators in their thousands - have been reconstructed from newspaper reports to present a series of vivid, tension-filled commentaries redolent of vanished loyalties. This book, which is enhanced by a fascinating collection of photographs spanning more than a century, will entertain and inform not only fans of 'the beautiful game' in Alex's native Kintyre, but also worldwide.